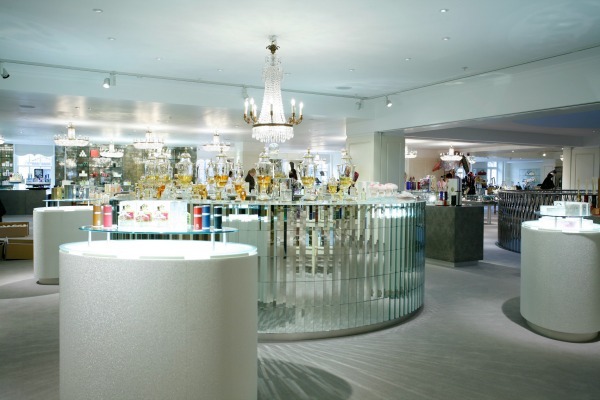 Fortnum & Mason has managed to create an oasis of calm and light, in complete contrast to most beauty halls that are a thrive of activity. It looks like an elegant lady’s dressing room, full of mirrors and opulent furnishings and most importantly, space to mill around and take a breather from the outside world. Cheers to that! The focus seems to be on fragrance as there are three mini rooms, dedicated to all things scent. We were introduced to the Illuminum brand, which Kate Middleton wore on her wedding day to Prince William (she wore the White Gardenia Petals scent). 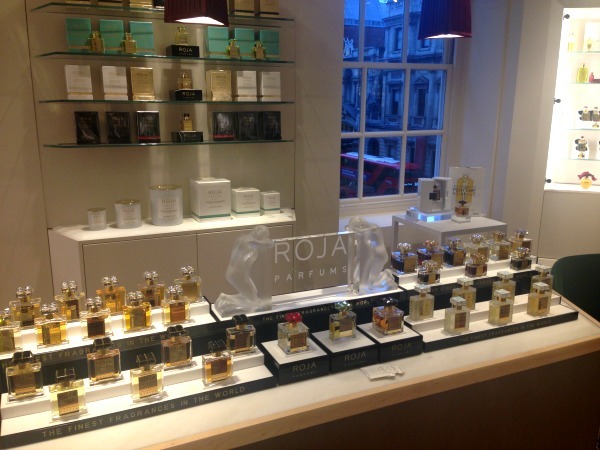 Then we were dazzled by a spectacular collection of Roja Dove’s perfumes. 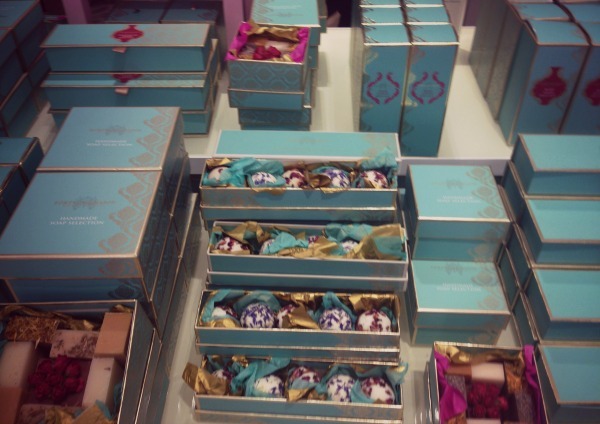 In this collection, there’s everything from the woody Arab perfume Aoud, to a more floral scent called Enigma. They’re all super strong Eau de Parfums and I could still smell what I splashed on my wrist as I climbed into bed at the end of the night. It is not cheap, but it’s worth paying for quality like that. Fragrance has the power to make you feel more brave and adventurous, so when we passed the new British make-up brand Delilah we had to stop by to get more info. The packaging is utterly gorgeous, but what’s inside is even better. 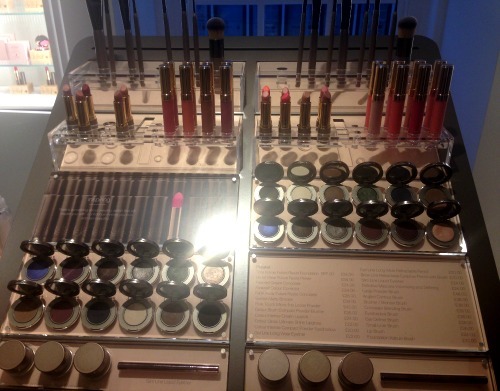 There are no chemicals or parabens and real thought has gone into the colours in the range. They don’t have confusing shades of nudes of corals – they just have one of each that suits everybody. The foundation is probably one of the best I’ve ever tried, making my skin looked flawless. 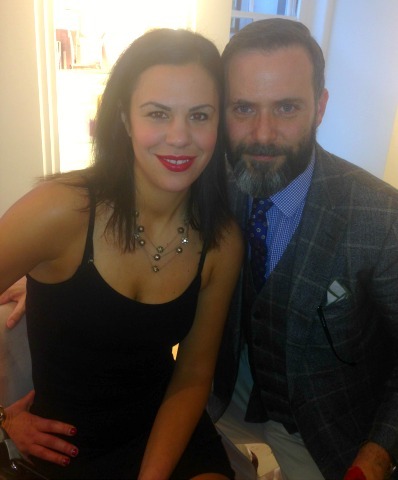 Here I am with Rupert Kingston, one of the three co-founders of the brand. This man knows a lot about make-up! Because of the light in the building, there was no shock when I looked in the mirror after leaving the party. Well, actually there was. I was shocked at how much better I looked leaving the party than arriving! But foundation can only go so far in transforming your skin and we could all do with making sure our cleansing and exfoliating regime is as good as it possible can be. As we walked around the Beauty Hall, we did see some things we’d heard a lot of buzz about previously, like the Cult 51 serums. Joanna tested an exfoliator on her hand, and I wished I took before and after photos as one hand looked really smooth after just 2 mins with this. You could really see the difference getting rid of the top level of dead skin made, which makes me more motivated to stick to an exfoliating regime. I’m told that Bamfords will release a collection exclusively for Fortnums in June, with an in-store spa. We thought the space was good right now and it is alreday making plans to get even better! It’s a haven for stressed women in the heart of the city where you can walk in knowing that you will find the best beauty brands and when you try them on you’ll be doing it in natural light and with a degree of privacy. Ideal for VIPs and aspiring VIPs. Guys with ombre hair…hit or miss? Jared Leto, Brad Pitt, Johnny Depp and more!